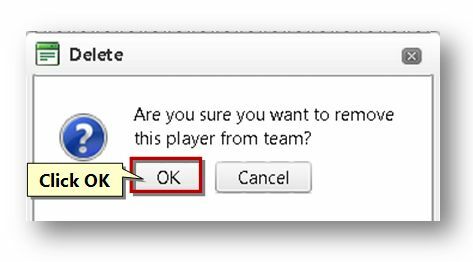 To remove a player, follow the steps given below. 3. Navigate to the Players tab. 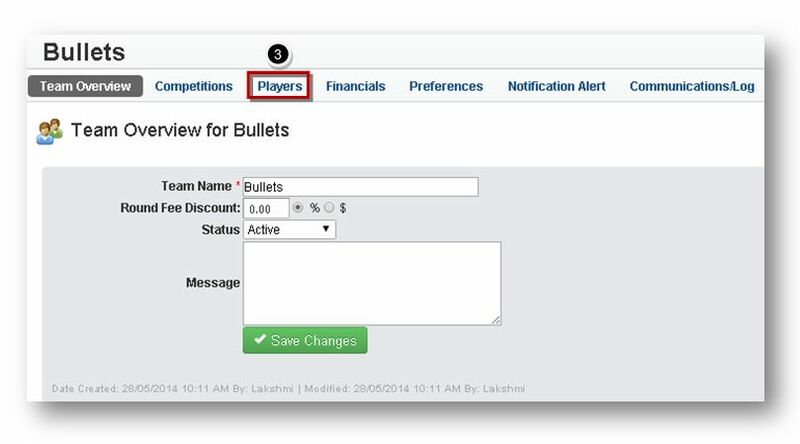 The Players section of the page will be displayed. 4. To delete a player, click the Delete ( ) button in the row of that player. The message box asking you to confirm the deletion of the player will be displayed. The selected player will be removed from the team.